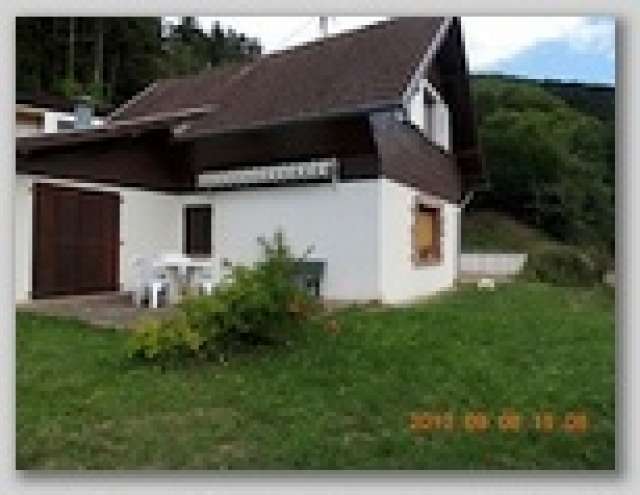 Commentaires du proprietaire :CHALET SITUE EN BORDURE DE LA FORET , AU CALME PAS CIRCULATION. 1 PIECE A VIVRE AVEC UN POELE EN FAIENCE COMME CHAUFFAGE. 1 CUISINE TOUT EQUIPE DONNANT SUR UNE TERRASSE.